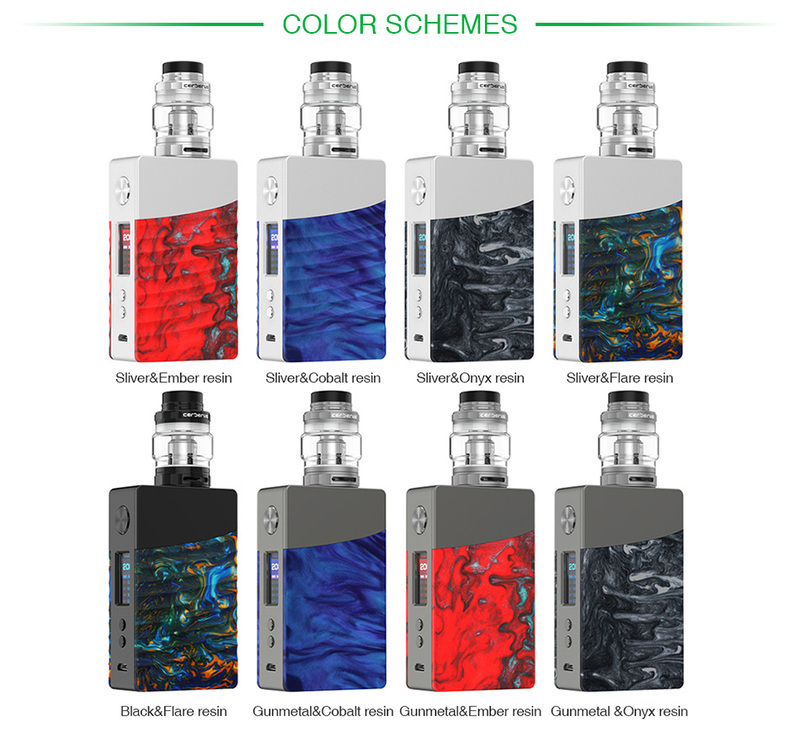 Consisting of GeekVape NOVA 200W MOD and 5.5ml Cerberus sub-ohm tank, the GeekVape NOVA Kit is a newly designed powerful and elegant TC Kit with compact size and light weight. Made of beautifully crafted resin and premium quality aluminum alloy with curved lines design, the NOVA Kit is very comfortable in hand and brings you a unique visual enjoyment. What's more, the GeekVape NOVA adopts the most advanced AS chipset with 10ms fast response time, providing safe, stable and powerful vaping experience. 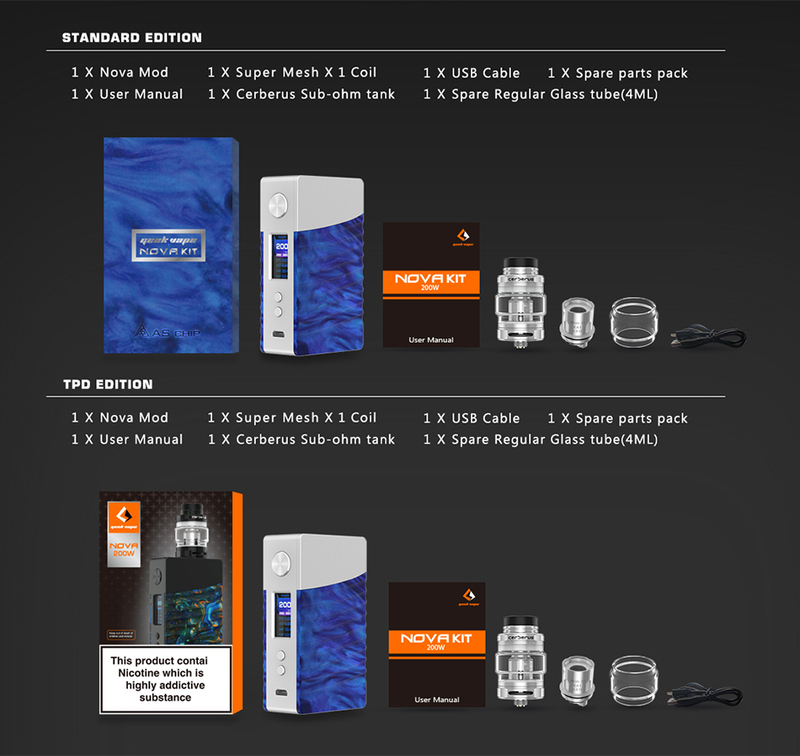 Plus the all-new Cerberus sub-ohm tank which features the innovative super mesh coil, the GeekVape NOVA Kit is definitely an excellent vape device for vapers! 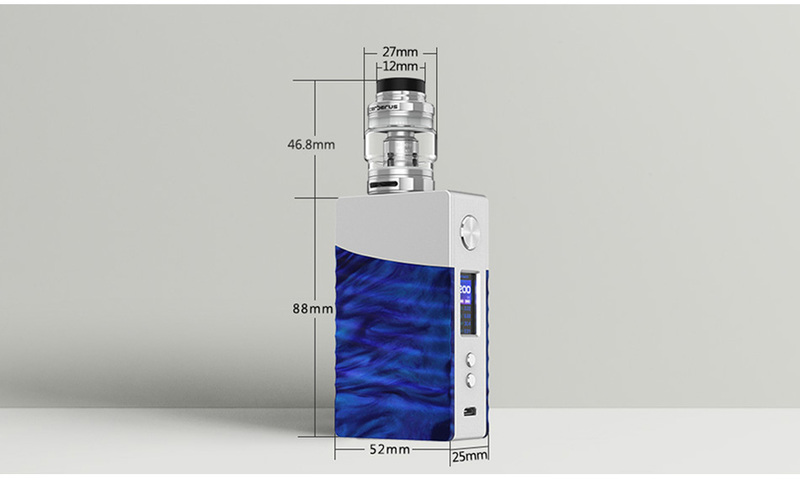 It has no e-juice and battery cell, you need order e-juice and 18650 battery separately.